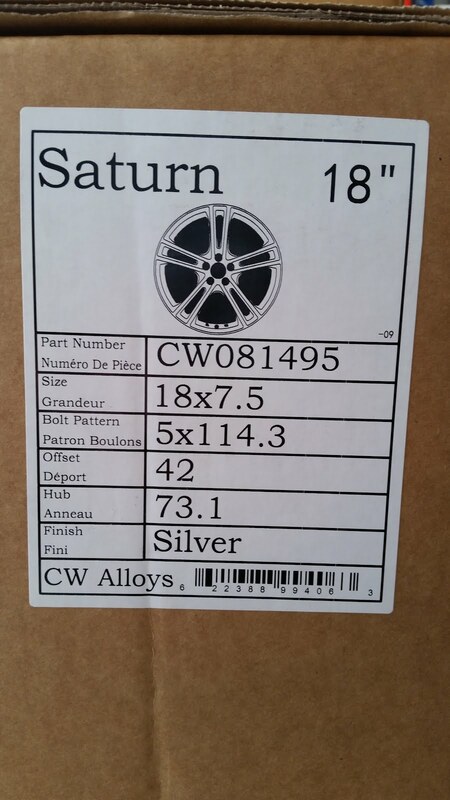 Although the Costco fitment guide states that the Saturn C-Wheels (model CW081495) will fit a 2004-2012 RX330 and related models, they do NOT fit on the rear. The Costco guide is terrible because it does not list wheel offset nor wheel width, and in this case they do not work. I realized this going in but somewhat naively figured they knew what they were doing. Offset can be a real problem. Too much offset and the tires will hit stuff on the car. Still, you do tend to have a fairly wide range to worth with. So it seemed low risk. Unfortunately, in this case, the actual offset for the CW081495 is 42mm, while the stock offset is 35mm. 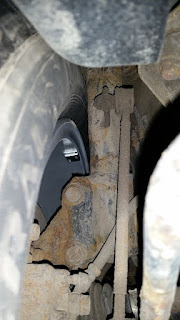 This extra 7mm pushes the tire further "in" to the body of the car. In this case, the offset difference was just enough to make the rear tire touch the shock tower. Meaning they do not fit. As the wheels fit on the car without tires just fine, there was no way to know this up front. 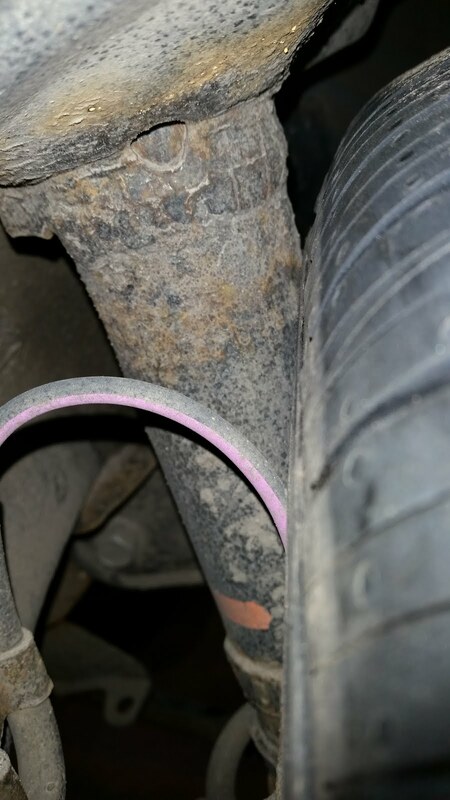 Everyone, including the tire tech, figured they would be OK. And it was thaaaaaat close. It's rather too bad since the wheels actually look pretty good on the car. The tire shop was able to fix me up with similar 18" wheels for a similar price, and I can obviously return the wheels to Costco. But I will not get back the tire shop fees for mounting tires to wheels that don't fit, then having to dismount them again. Thanks Costco! 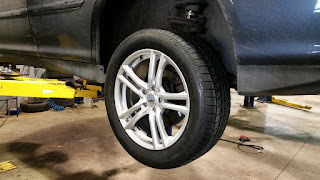 So, for anyone interested, be aware that Cotsco / CW has already made one mistake for wheel fitment. I imagine there might be others. If you do decide to buy, I recommend you get the tire shop to mount ONE tire and test fit it on all four corners. Otherwise, they may mount all four, then have to dismount all four, and have to charge you more money. 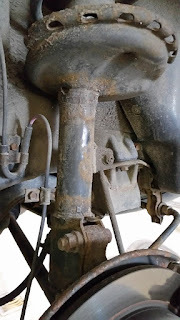 For reference, a 2005 R330 was listed as accepting wheels between 20mm and 35mm offset. So these did not even fit "on paper" - assuming, of course, I'd had that information up front. 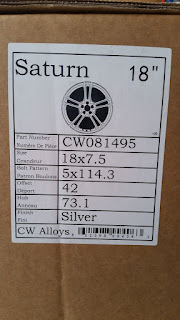 Note also that the Saturn wheels are listed as "silver". They are not silver - they are most definitely grey, possibly with just a touch of blue. Now, this is not something that most people would notice unless you put them right up against stock wheels that are actually silver, but the difference is there. And, of course, EVERYONE will put their shiny new wheels up against their old ones, which are most likely silver. So you will see the difference more or less immediately. The wheels appear to be painted or coated rather than being the natural aluminum finish. Why they didn't actually paint them real silver is beyond me. This may not be a big deal to some. I was initially worried about it, but my wife did not care at all, and once they were on the car you probably couldn't have told the difference. Hell, for some cars, they might even be an improvement. 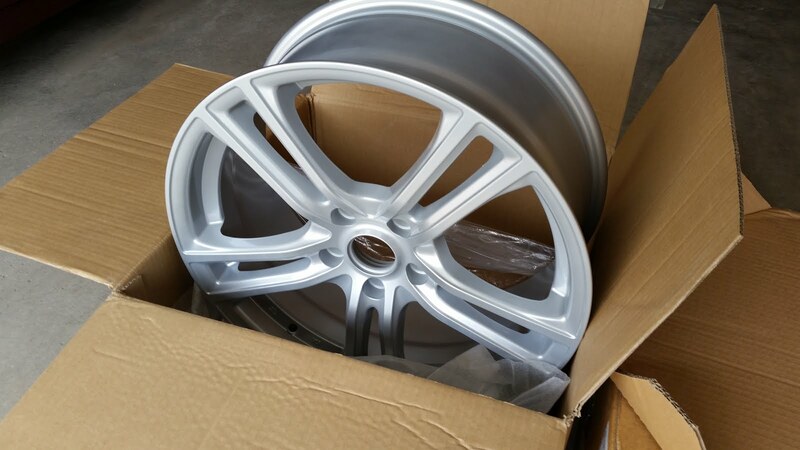 However, if you want true silver wheels, look elsewhere.